Truevoice is a major professional karaoke system Headquarters is located in the Tokyo, Japan. And we also have offices in Taiwan and China. 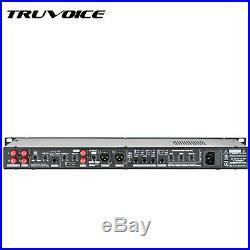 Truvoice professional systems with their true voice of sound are world renowned for excellent vocal reproduction and are in constant demand for stage and hotel, night club, bar, auditorium, conventions, KTV and other professional venues as well as for karaoke use. 3 band of British specific EQ. 48-bit DSP processor with 8 professional sound field. 2 band of EQ for middle input. Surround remix with Music, vocal and effect. External interface for active subwoofers, 25-250 HZ variable bass frequency output. Balanced XLR and 1/4 TRS output. Squelch circuit with low noice. Shielded toroidal power transformer ensures minimal noise interference. 1 rack unit high. Sellers are not responsible for service transit time. This information is provided by the carrier and excludes weekends and holidays. Note that transit times may vary. We will replace it with a same item for replacement. The return of the product is at your expense. 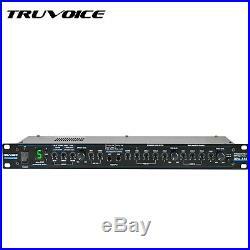 The item “Truvoice DPA-550 KARAOKE EFFECT PROCESSOR / Mixer / Pre-amp” is in sale since Wednesday, March 13, 2019. This item is in the category “Musical Instruments & Gear\Karaoke Entertainment\Karaoke Mixers”. The seller is “topcomtw” and is located in Tokyo. This item can be shipped to Canada, United States.